A Happy Summer and 4th of July! A Happy July 4th, Independence Day, to everyone! Since I last posted on WordPress, my life took a turn for the busier. My organizational skills were taxed to the maximum as well as my time management ones. I actually had to re-organize my daily duties since I had taken on a few more projects. The fun thing is that these new projects turned out better than planned which is wonderful; made my May and June. Undermining Alex will probably be published sometime in 2013 instead of as originally planned for autumn/winter 2012. Just Alex is currently generating steady sales and it is in my publisher’s best interest to wait on publishing its sequel. This is an author‘s dream come true for a first book published – steady sales! May 2012, Aya Katz author of Vacuum County and four other books were added to Alicia Harrell’s Bookstore. The write-up about Dr. Katz is in our Featured Selections as #9. It was a great honor to include Aya Katz as a featured author. June 2012, a new good read published in May 2012 titled Financial Revolution by Matthew A. Easterbrook was added as a Featured Selection in Alicia Harrell’s Bookstore. It was an honor to feature this author who is publishing his work through my publisher, Infinity Publishing. May and June this year has been two months filled with helping others. I feel that these good deeds accomplished, even though they lowered my blogging/posting, were well worth all effort even though these things were not newsworthy, just important to those involved. Sometimes being there does matter; especially to those closest to you. To share a little bit more about my helping others: I thoroughly enjoyed assisting the two authors mentioned above with promoting their books by having them as a Featured Author. I helped several friends receive their very own private perfect internet home page for “free forever.” My husband and I were there as best as we could for two close friends who lost their spouses. I helped a dear lady friend who is not computer savvy begin an opportunity online. She was grateful; was something she found very interesting. I also took the time to visit cousins I had not seen in four months and was introduced to Chick-Fil-A. We cousins had a great time! Visiting with them reminded me how great Summer Family Reunions can be. Some of my new projects in June took me out of my house. I actually received more organic Vitamin D from sunshine because I went outdoors more. Recently I learned that there are chronic health conditions that are caused by Vitamin D deficiency and that one’s Vitamin D levels should be checked regularly. On Examiner, I wrote articles that are family and health related. The latest article written shares delicious recipes children would enjoy. These were fun to research and share with everyone. 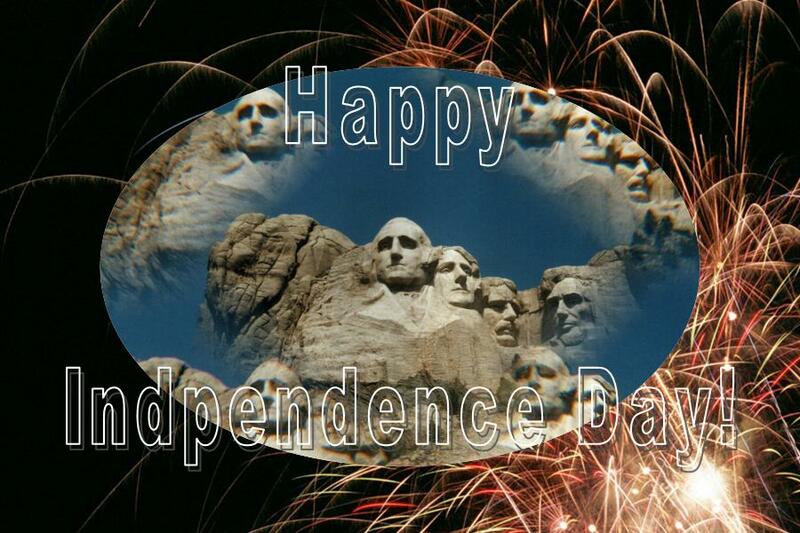 Thank you for visiting and may your Independence Day on Wednesday July 4th be grand!